Learn How to repair registry errors for free on your Windows PC or Laptop running Windows 10, Windows 8, 8.1, Windows 7 And XP. In TechinDroid we made the list of Top Free registry cleaner and repair tools for windows 10, Which you can use for fix the most windows registry errors. Have you noticed that your computer has been slower? Are your programs not working properly? Maybe you should clean up the registry. Windows can be a rather complicated operating system but, the complexity to which I’m referring to is how customizable it is in the way it behaves or it performs. You can practically change almost anything in Windows, which makes it open to attacks or prone to have vulnerabilities. But what I’m going to focus on now is in the place where the system stores all of these configurations, which of course is the system’s registry. The computer registry has a lot of things to handle, so it can become a real mess after a certain time using your PC. The best way to fix registry errors are that, we should use some of the best registry cleaners / free registry repair tools available. The following list will show you some of the best registry cleaners for Windows 10. You can download registry cleaners for free here. CCleaner is the most popular tool for cleaning the Windows registry. With this best free registry cleaner you can keep your machine error free. It is not designed solely for cleaning the registry – it is an all-around cleaning program with a lot of tools made for such purposes. CCleaner makes a backup of your registry automatically before taking any action, so you can restore it if any mishap were to occur. See also: Free CCleaner Alternatives. 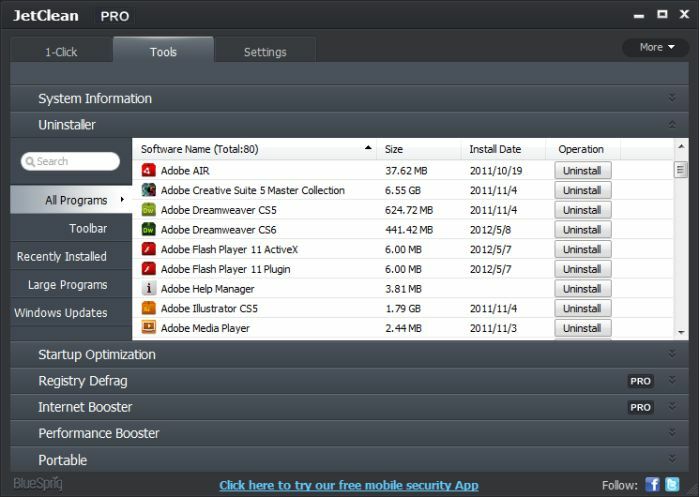 In addition to its installable version, CCleaner is also available as a portable software, so you don’t need to install it if you want to use it. You can purchase a license, which will enable the software to monitor real-time changes to the registry. Registry Life is one of the easiest programs to use because it includes its own wizard to help you throughout the process of cleaning the registry. This way, this process will be easier and faster because you don’t need to know the exact buttons and options of the program in order to use it efficiently. 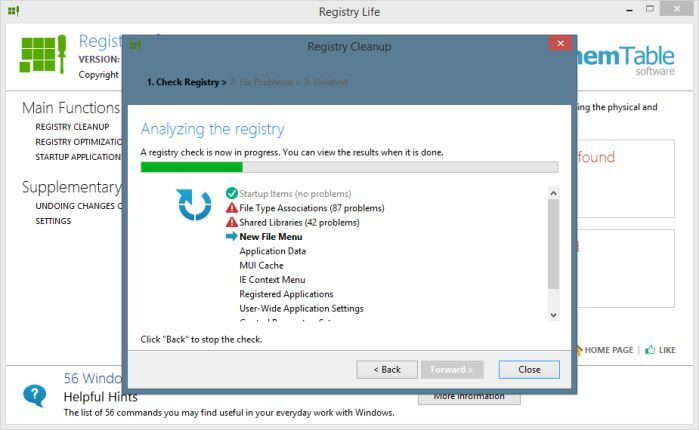 In addition to cleaning your registry and correct any errors in it, Registry Life also allows you to defragment your disk and make Windows perform even faster. Argente Registry Cleaner, like Registry Life, This best registry repair software has a wizard to help you throughout the process. But this particular one could solve problems not solved by other programs on this list because of how consistent is the process analyzing your registry. It has an automatic maintenance mode that runs when you start your PC and tells you if there is anything you need to fix. It also performs an automatic backup of the registry before performing any action, and it has the ability to make backups manually if you wish. JetClean is a quick registry cleaner. With this tool, you can initiate the free registry scan and repair your PC registry errors if find any- in seconds. Its interface is visually pleasing and user-friendly. It also has a paid version that incorporates some extra features. Wise Registry Cleaner is one of the newest free registry cleaner and repair tools regarding windows registry fixing. Its interface is simple and attractive, and it has an excellent performance. It will analyze your registry much faster than most programs on this list. With Wise Registry Cleaner, you can also log the analysis so that the program can scan your registry periodically and notify you if you should clean it or check something. It also performs an automatic backup of your registry, in case something goes wrong and you need to restore it. The simplicity of its interface is ideal for casual PC users, because they will easily understand the program. The free registry repair process is very fast, no matter how many mistakes you have on your registry, It can fix registry errors for free. 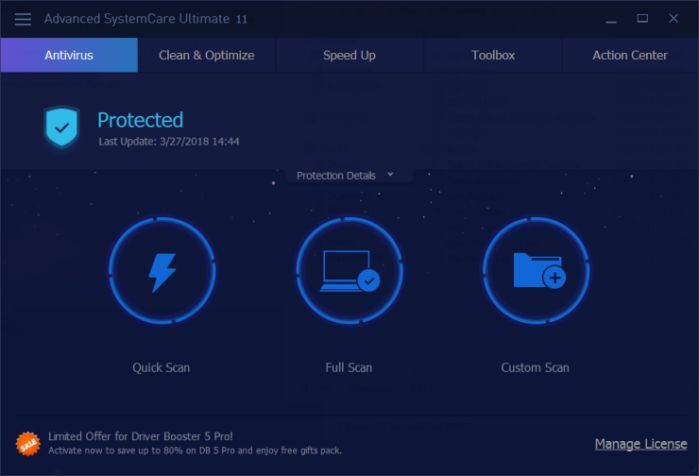 It allows you to shut down or automatically restart the computer to finish the cleaning process, as well as to perform an automatic backup of the registry. This Free Windows Registry Repair software is very similar to the rest of the programs on this list. It scans your registry, notifies you if you have any errors in it, and attempts to clean up registry errors. The amount of detail offered is what differentiates it from other programs. You can tell exactly what errors occurred, so that makes it easier for you to decide whether or not you want to fix registry errors. Its scanning speed is good and it delivers consistent results. Pointstone Registry Cleaner has a simple and modern interface, free registry repair program windows 10 windows 8 windows 8.1 and windows 7 with the particularity that it ranks results of your scan by category, giving you a level of damage by category so you can have an idea of how bad some of the errors could be, unlike other programs where you don’t have this function. See Also: Fix “Problem Ejecting USB Mass Storage Device” on Windows. Its scanning speed is not as fast, but it may be similar to that of several other programs on this list. It performs an automatic backup before making any changes to your system. 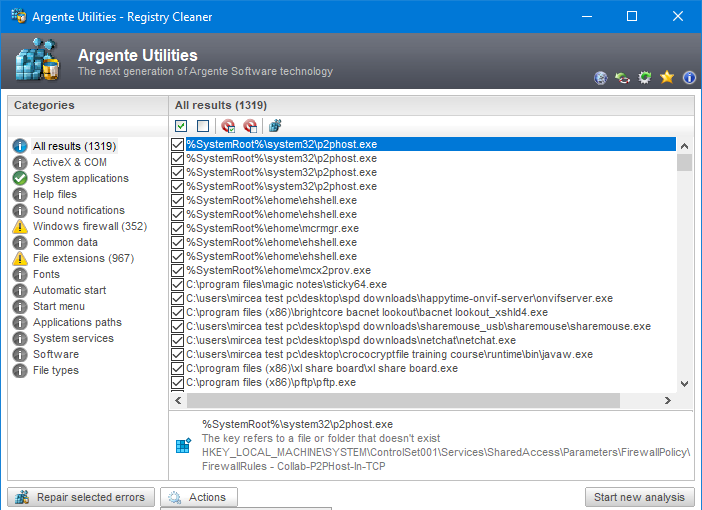 Auslogics Registry Cleaner is one of the easiest-to-use cleaners on this list, but it does not have a very attractive or user-friendly interface or a wizard to facilitate the process. It doesn’t only scan the registry of your PC quickly, but it also shows an index for each error. This makes it easier to know which errors have a greater impact on the performance of your system. The program is quite meticulous in finding errors and it found problems that could not be found by other programs on this list. 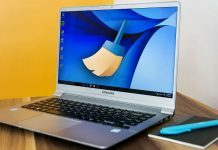 EasyCleaner is one of the oldest cleaners on the market – along with CCleaner – and, of course, it’s between the most reliable ones. Its user interface is not the most attractive and it actually looks outdated, but it can do a great job. 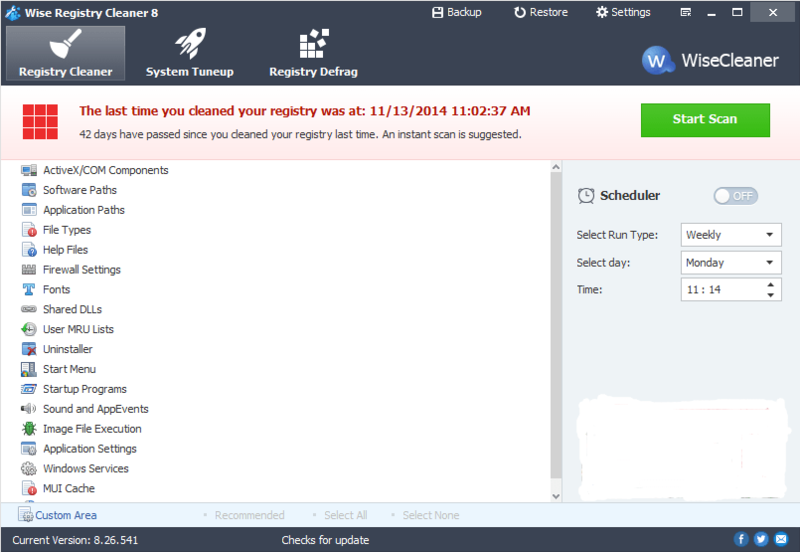 EasyCleaner can take more time to scan the registry compared to the most recent choices, but it does a great job. It is also available in a portable version, so you do not have to install it if you don’t want to. The truth is that the longer you use your PC, your Microsoft Windows registry will grow more and more disorganized. For this reason, a registry cleaning becomes really necessary at some point. Otherwise your computer will keep becoming gradually slower. 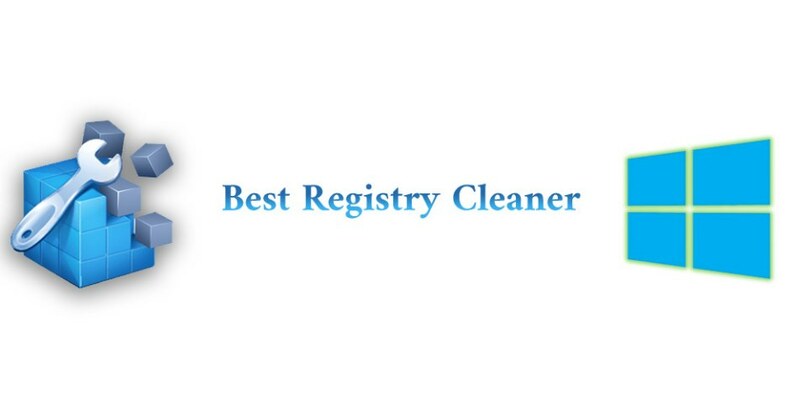 This has been our selection of the best registry cleaners & registry repair tools for windows 7, Windows 8, 8.1, Windows 10 . These programs will help you to fix registry errors and keep your PC fast and fresh.